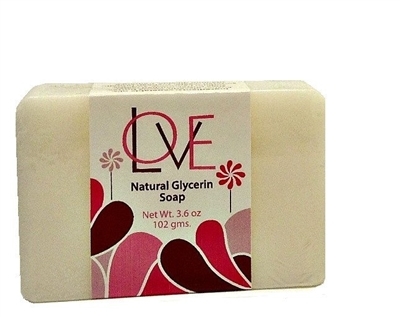 Bathing with Love will leave a gentle residual fragrance that lingers on your skin. Layer with the perfume oil for a fragrance that lasts all day. Sold per bar. Each bar of soap weights approximately 3.6 oz. With elements of Egyptian Goddess and White Amber, Love is one of our top selling perfume oils. Warm and slightly spicy, Love is a perfect winter fragrance.